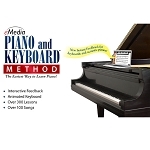 Piano Suite Premier teaches you how to play piano using instant visual & audio feedback. 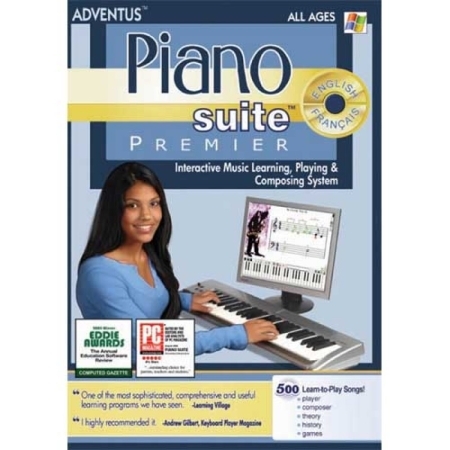 A comprehensive, interactive music learning, playing and composing system, Piano Suite Premier is loved by thousands of piano students and instructors, and is the most sophisticated piano learning program available today. When you're learning to play piano with Piano Suite Premier, you'll know exactly what you notes played wrong, and what you played right! · 500+ popular pieces of music for 5 skill levels! · Add your favorite songs from the web! Developed by piano teachers and music learning experts, Piano Suite Premier guides students through a flexible music learning process, with the help of immediate and continuous feedback and assessment.